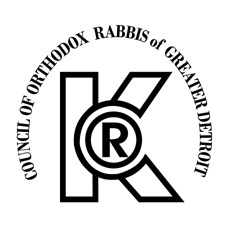 Council of Orthodox Rabbis of Greater Detroit | Go Kosher! Interested in kosher certification for your commercial product? The ingredients must be submitted for K-COR rabbinic authority review. Note that often, if an ingredient is not kosher, an easy substitution can be made – consult the K-COR with any questions. The K-COR inspects the production line. Once a product has been certified as kosher, the K-COR can authorize the K-COR kosher certification symbol for the product. Periodic inspections to ensure ongoing compliance with applicable kosher laws. Contact the K-COR to start the certification process!